"I have analyzed in depth all the HP white papers on Edgeline and from this have worked out that HP could easily make a 20 inch width color data center printer that could operate at a speed slightly in excess of 300 pages/min. I know this is not as fast as the new range of high-speed color printers from Agfa, IBM, Kodak, Océ, Screen and Xerox, but Edgeline technology would allow HP to sell this 300 plus page/minute printer at a fraction of the price all of these new printers are selling for. 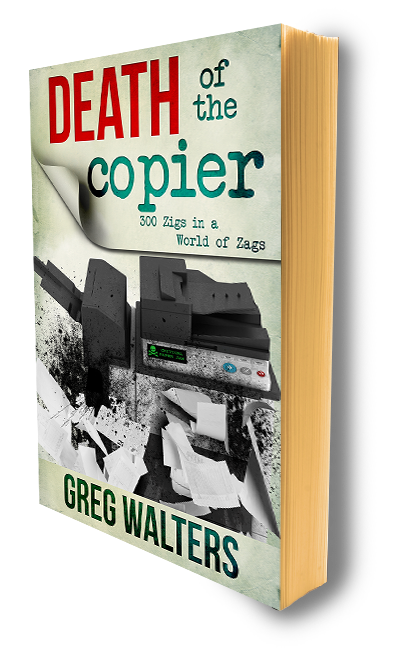 Not everyone in the corporate data center market wants to run 1,000 pages/minute, and many would want to have multiple slower printers rather that relying on one super-fast device." Perhaps the announcement of the planned acquisition of Exstream is also a pre-announcement of the HP Color Data Center Printing System. It will be interesting to see how this news develops in the coming months." This is very interesting, no? See this post of mine and try to read "through" it - and see how HP "expands"into new market niches? See this post. 300 ppm!!? wha, wha, whaaaaaaat?